Whether you run a household or a corporation, your office should be a fount of productivity. It should be where you can dream big, burn the midnight oil and feel comfortable and confident in your decisions. From students to executives, Amish Originals can help you create an office that is both beautiful and functional. 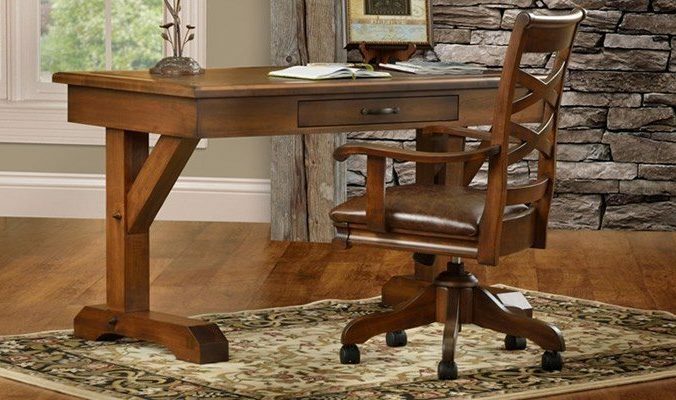 Our Amish artisans handcraft desks, credenzas, storage and shelving, chairs and conference tables with exquisite detail; constructed of solid American hardwood and finished with a resilient varnish, office furniture from Amish Originals will not just support your most productive hours, but will remain a rock of strength and durability for years to come.